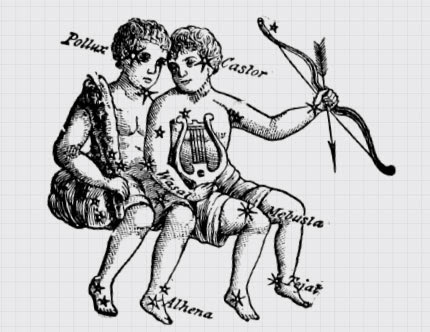 The Gruen effect is named after Victor Gruen, born in Vienna in 1904 to a Jewish family. Gruen, born Viktor Grünbaum, left Austria in 1938 for New York City, where he made a name for himself designing shops and retail spaces. This was a particular challenge during the lean years of the late 30s. People had no money. They just wouldn’t go into shops. Gruen started making storefronts all over the country. 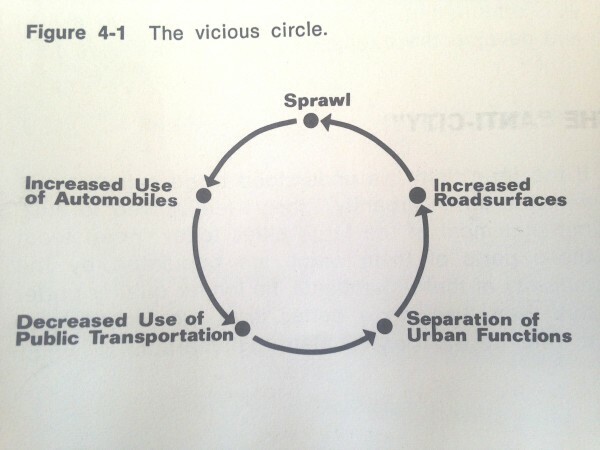 And in his travels across the United States, Gruen saw how much time Americans spent riding around in their cars, cut off from the city and from each other. This was especially true in the suburbs. The suburbs lacked what sociologist Ray Oldenburg calls third places. If home is the primary place, and work is a second place, then a third place anywhere else one goes to be around other people—to build community, to hang out, to feel connected. Gruen wanted to give the American suburbs that third place. Victor Gruen imagined designing an environment full of greenery and shops. An indoor plaza which could be an island of connection in the middle of the sprawl. One that would get people out of their cars in order to walk and stroll within them. Gruen saw his structure as an architectural panacea—it would remedy environmental, commercial, and sociological problems with the creation of a single building. Gruen presented his a solution for America: The Shopping Mall. Gruen’s full vision for the mall was more than just shops. He imagined them as mixed-use facilities, with apartments, offices, medical centers, child-care facilities, libraries, and (since it was the 1950s) bomb shelters. Gruen wrote theoretical sketches of shopping malls long before he ever built one, but for a long time, none of his ideas came to fruition. Then in 1952, the owner Dayton Company commissioned him to build the very first indoor, climate-controlled shopping center. It would be in Edina, Minnesota. 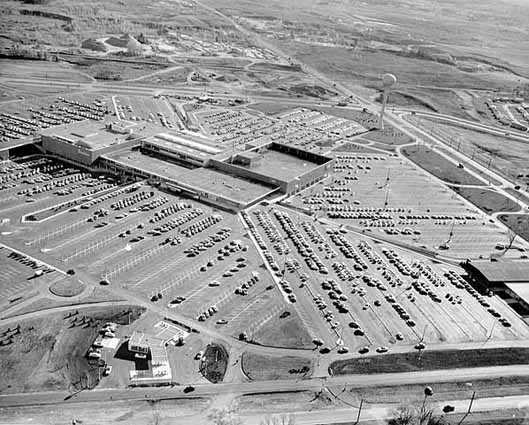 Southdale Center opened in 1956, and what Gruen emphasized (and what the media would celebrate) was the massive center court, covered in a skylight, which was supposed to mimic a town square. 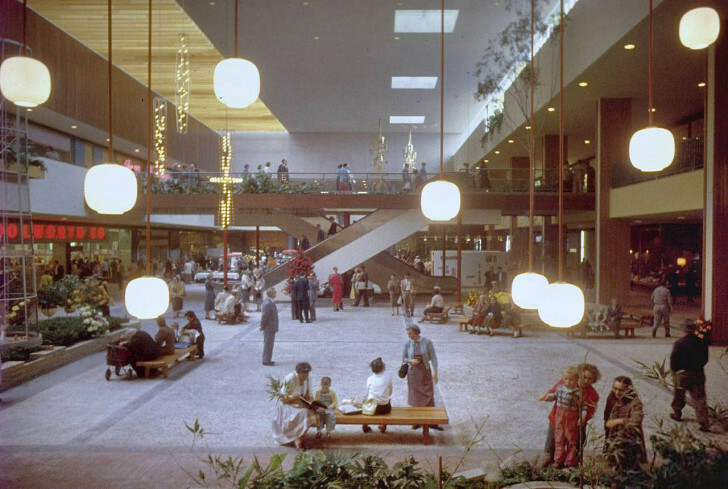 Gruen’s subsequent malls were all mostly based off this original Edina design, and the center court became a hallmark of shopping mall architecture. Southdale Center wasn’t quite mixed-use, like Gruen imagined. People didn’t live there, and there were no daycare centers or post office. But Southdale did have local shops of all kinds. And plenty of shoppers. From the outside, Southdale Center is not much to look at. 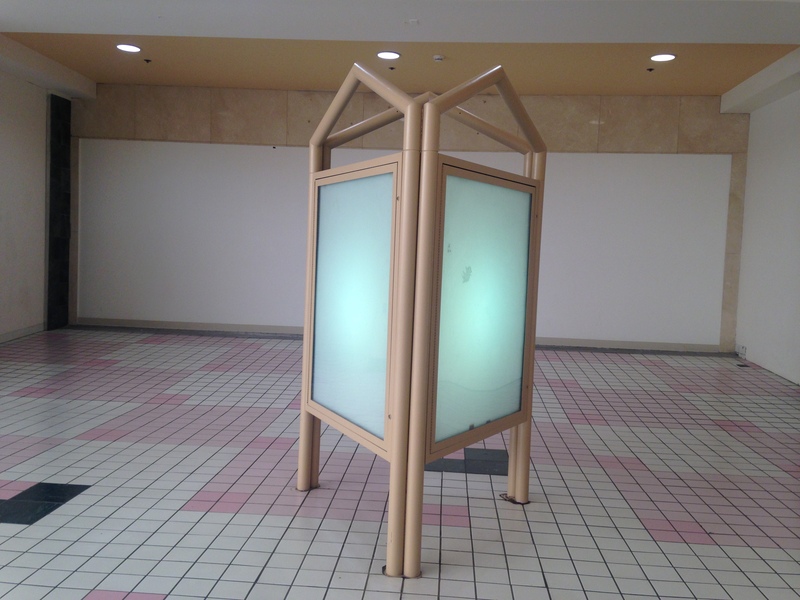 It looks like a mall: an ominous, amorphous, boxy shape. In designing the shopping malls, Gruen ended his razzle dazzle storefronts and window displays. Southdale hardly has exterior windows at all. The draw now is what’s inside the mall: Gruen wants his shopping centers to have blank facades, with no signage on them, that consumers would then enter and be dazzled by the interiors. Malls are suburban pilgrimage sites, which, of course, Americans had to drive to. Gruen knew that Americans loved to drive. So the mall was his compromise: shoppers had to walk once inside, but they could drive over. Over time, Gruen saw that in erecting these malls, he was draining life from the actual cities. So for a time, Gruen got involved in urban renewal projects, drawing directly on some of the lessons learned in his suburban shopping malls and applying them to struggling downtown. Gruen turned city centers into pedestrian-only spaces full of public art and greenery, and lined with shops. He made plans for Boulder, Fresno, Ft. Worth, and Kalamazoo. The Kalamazoo plan became the first outdoor pedestrian shopping mall in the United States. Gruen even had a concept for a pedestrian mall in New York, and actually got Manhattan to close down 5th avenue for a couple weeks, as a test. A city’s downtown, however, is not a mall. It’s not so easily “fixed” and controlled. 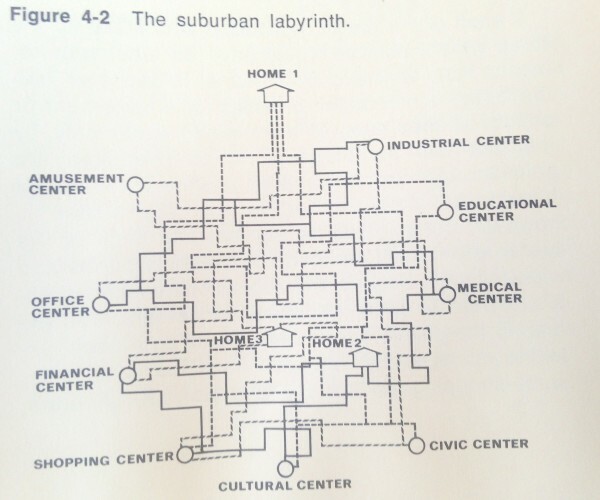 American cities weren’t going to become the pleasant, sterile shopping environments Gruen wanted. In 1968, Gruen moved from L.A. back to Vienna, back to the greenery and plazas he had been trying to imitate. But he could not escape his own creation. A shopping mall was being built on the edge of town. In Gruen’s mind, Vienna was already perfect; it didn’t need a mall the way the broken American suburbs did. As he saw it, his original vision had been totally skewed. 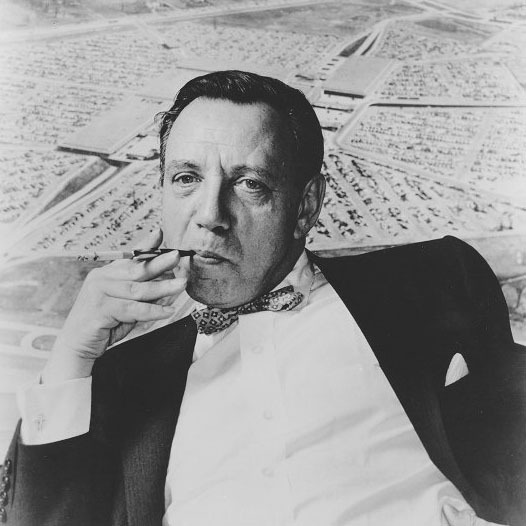 Victor Gruen, the mall maker, became the foremost mall critic. 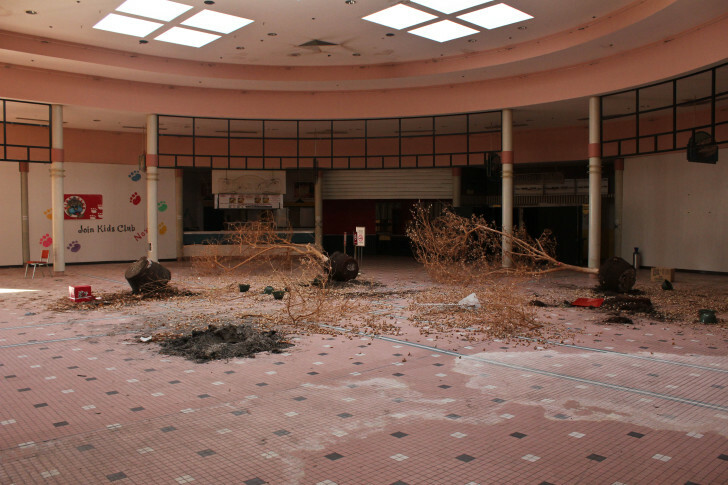 Meanwhile, America’s love affair with malls continued, for a time. 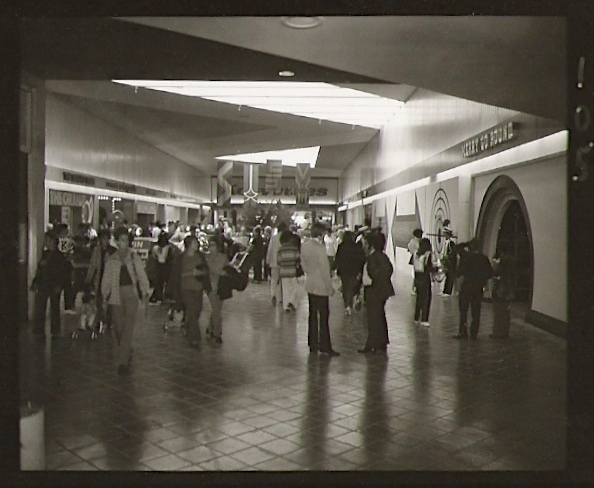 From the 1960s to about the 1990s, it was cool to go to the mall. Literally—it might have been the only air-conditioned place in town. Before we all lived and worked in air conditioned, climate-controlled environments, the mall was a special escape from the heat and the cold. Now, after days spent in indoors, shoppers want to go outside, and popular tastes have veered away from the indoor mall. Lifestyle centers started appearing in the 90s. They are malls disguised as a main streets, with no roof and a lot more boutiques and restaurants. Even though they’re full of chain stores, “Lifestyle Centers” are still sunny and walkable and bustling. They are kind of what Victor Gruen imagined. As for those old climate-controlled, fully enclosed shopping malls—some have fallen into disrepair. Others have actually been repurposed. 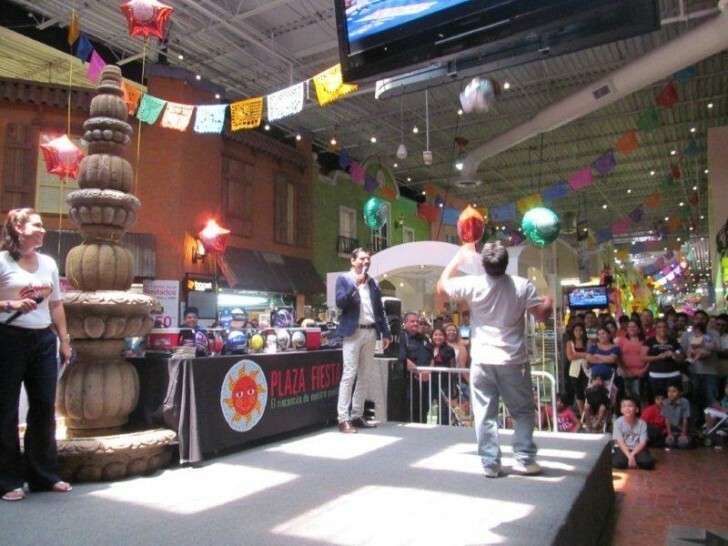 Several shopping malls have been retrofitted into Latino community centers, like Plaza Fiesta outside of Atlanta. At Plaza Fiesta, a lot of stores have been cut up into much smaller mom and pop shops selling Western wear and quinceañera dresses, and Plaza Fiesta also has a steady events calendar of performances. These sort of community malls have finally become true third places, where people can gather and spend money. All in the shell of the failed design. Producer Avery Trufelman spoke with Jeff Hardwick, author of Mall Maker: Victor Gruen, Architect of an American Dream, and Ellen Dunham Jones co-author of Retrofitting Suburbia with June Williamson. 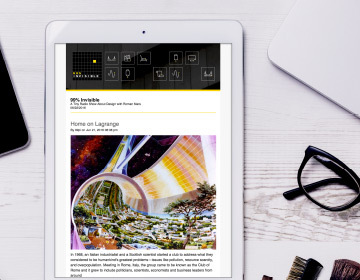 All archival footage courtesy of the University of Wyoming. this is a wonderful sociological study of what makes for community, and with “my name” on it, no less. This macro-view and century-long history of an iconic idea and human need is spot on. I did not see this development coming, nor see in my rear view mirror its aftermath, as I lived in the midst of all this social transformation. I am also curious what similar historians will think of online shopping, which has replaced the malls for many folks, but has further robbed us of real those connections. Gruen has been a fascination of mine for a few years now and I couldn’t even finish this podcast before commenting. Gruen not only designed the first indoor suburban shopping mall where I live in the Twin Cities, MN, he also designed the first URBAN indoor shopping mall where I grew up, in Rochester, NY. That mall, Midtown Plaza, was demolished several years ago, ironically in order to make way for an urban “lifestyle center”. I don’t know if that project ever really got going, but lifestyle centers are popping up everywhere in the Twin Cities. The saga continues! Interesting. Thanks for bringing this up. I just wonder why this article says that Valley Fair “could” qualify and what condition is keeping it from being more widely accepted as THE first. Any ideas? Curious to know. A key phrase here is “climate-controlled” (and probably “fully-enclosed” too) otherwise Westminster Arcade- built in 1828- can claim the be the first indoor mall in the US. Someone will always find a ”the first” before the ”the first” in the article. I live in Hungary and I don’t really have anything nice to say about shopping malls in my area. Sometimes I take a trip to Austria and the differences in consumer culture really baffle me. The kind of social bonding you’re talking about can prevail given the right conditions. Good products + the design of the place obviously. I like to fantasize about getting a time-machine to get back to America in the 70s (or 60s) to visit some malls. Another way to create a third place is to re-purpose existing public space with a story. San Francisco’s Games of Nonchalance (aka “The Jejune Institute”) did this with scavenger hunts, a pirate radio station in Dolores Park, a boom box in a Oakland’s Chapel of the Chimes, and they even rented an office space. 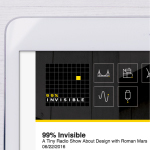 Some recent phone apps like Detour take this concept in a different direction with non-fiction stories overlapped on to the public space with a walking tour. Thanks for the great story Avery! 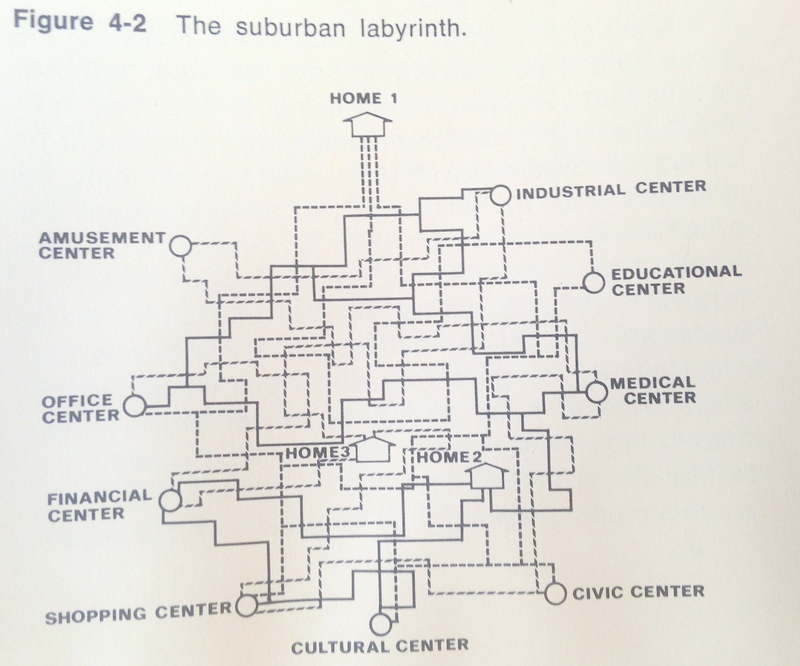 One very slight correction – June Williamson deserves credit as co-author of Retrofitting Suburbia with me. We’re working on a follow-up book now – trying to tell just some of the stories of the 223 malls, 120 office parks, and countless big boxes, strip malls, golf courses, and garden apartment complexes that are continuing to be retrofitted – hopefully into places Gruen would smile at. Thanks Ellen- I’ll add June Williamson to the credits now. My apologies! What’s the song that begins playing at 14:19? I haven’t noticed it in previous episodes. I like it. It seems that Gruen’s imagined mixed-use developments have taken on a new life here in Manila, as every new condominium building comes with a mall, and already-existing malls have churches in them. And you can’t swing a cat without hitting a mall in Manila, with more popping up every day, contributing to more car use instead of less. Gruen would probably be horrified. The last new mall was built in 2006 – until Sarasota’s University Town Center Mall which opened in 2014, a traditional, brand new built-from-scratch enclosed mall. Is that a Mallrats sound bite I hear? Love it. And a really good story. Just a few days ago I gave a talk on digital identity and third places at a technology in higher education conference. My narrative backdrop for that discussion was the story of Victor Greun’s (failed??) vision for creating civic spaces in the suburbs. But Victor’s story is more than a cautionary fable for us technology architects. The economic and functional dynamics of the internet and the suburban sprawl are remarkably similar – decentralising forces undermining the integrity of genuinely public spaces. I work in higher education, and universities in particular have a long history of being third places. 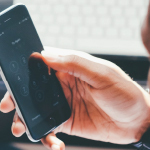 As we are taking them online, we are using systems that are designed to see their constituents solely as customers. We are at real risk converting our universities into online shopping centers. If you know the story behine the Gruen Transfer, you can better understand the need for the Windhover Transition.. The Fulton Mall in Fresno is being removed very soon. Thank you for providing some backstory. Our final for my Photography class was to shoot it before it’s removal. So sad. I found Roman Mars saying “Good call Grünbaum” to be a bit flippant. I guess it was intended to serves as shorthand to reveal that Gruen had changed his name and was fleeing the Nazis, but even a podcast as short as 99% has time to address the Holocaust by name. Hey Avery, I’m just now seeing your response to my earlier post. 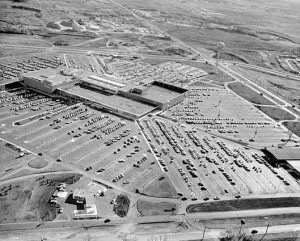 I’m not sure why the Valley Fair Mall isn’t more widely recognized as the first shopping mall. It may be one of two reasons: 1. Valley Fair had businesses with both indoor and outdoor entrances or 2. it’s simply not as well known. I had the opportunity to walk through the Valley Fair a couple times before it was demolished. It really was a lovely structure but alas, it was done in by the popular and soulless Fox River Mall. How does the Southdale Center predate the Northland Center outside Detroit which was opened in 1952? Is there some technical distinction? Northland opened in 1954 and was outdoor. 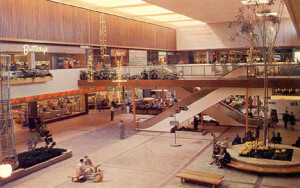 Southdale opened in 1956 and was enclosed and air conditioned. Good stuff but Kalamazoo was not the 1st outdoor, pedestrian mall in the US. 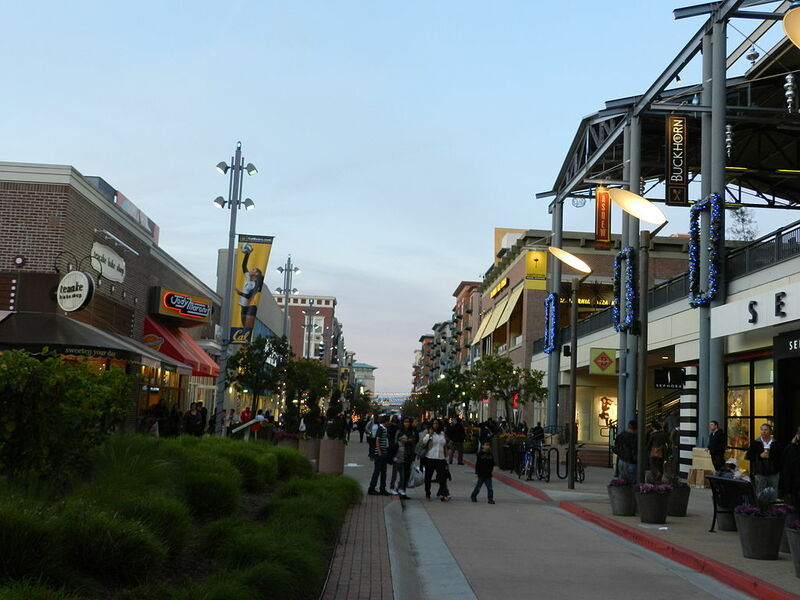 The Plaza district in Kansas City beat him by a few decades; the mixed use developments of today show more of the Plaza’s aesthetic than any of the post- WW II indoor malls. why was there no talk about how malls gave rise the the big box stores like walmart?? I wanted to share an article I found about how dead malls are being repurposed! The micro apartment idea I though was most interesting.